With more than 4,200 lawyers in more than 100 offices in 40 countries, DLA Piper helps companies around the world succeed by meeting their legal needs wherever they do business. The firm knows that, in order for its advice and solutions to be effective, it needs to engage completely with its clients to fully understand their businesses and their deeper legal needs. This means taking a long-term view and investing in relationships as well as in the firm’s own people, processes, and services. 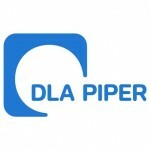 DLA Piper’s clients include local, national, and global companies across a wide range of sectors, ranging from emerging businesses to some of the leading national and multinational companies.